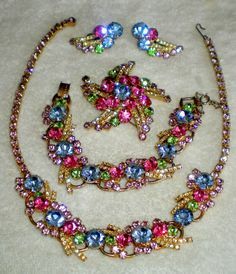 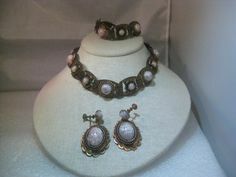 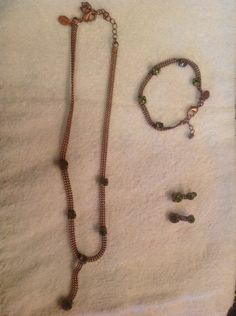 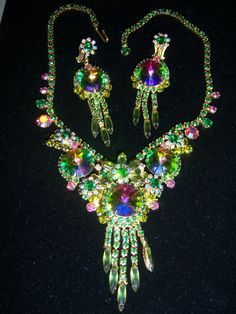 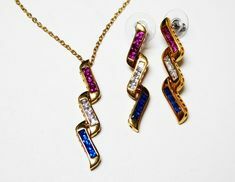 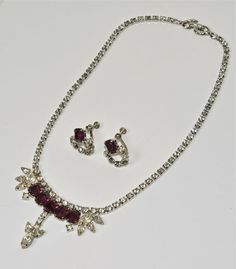 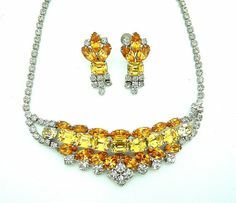 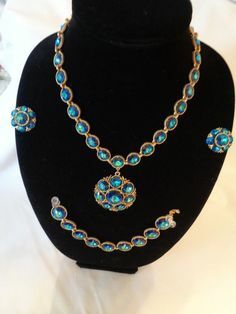 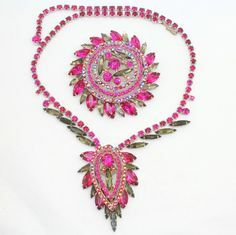 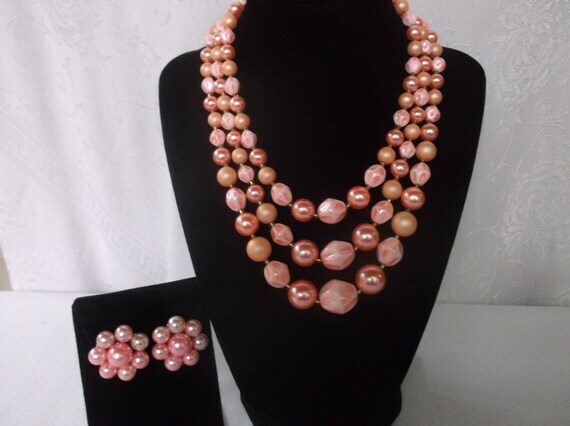 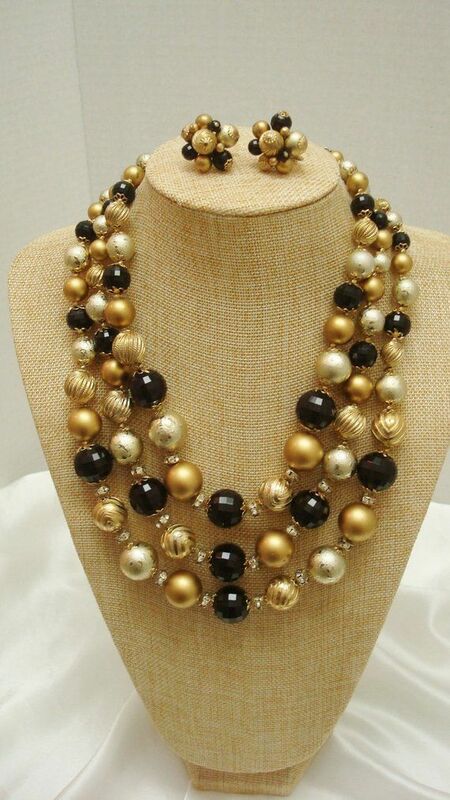 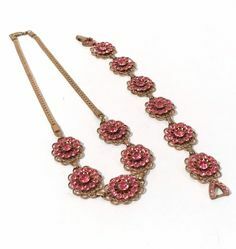 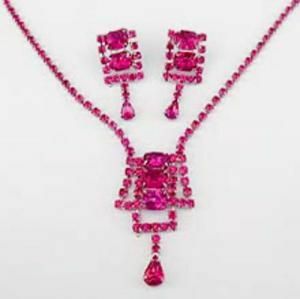 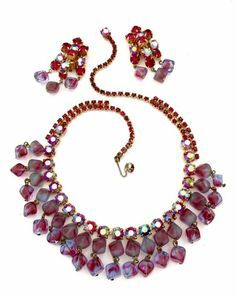 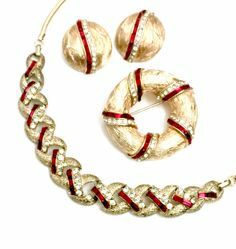 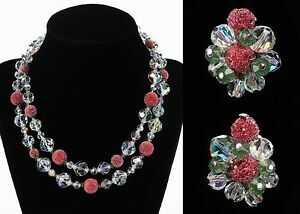 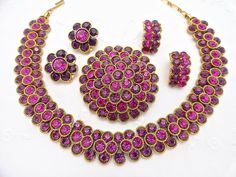 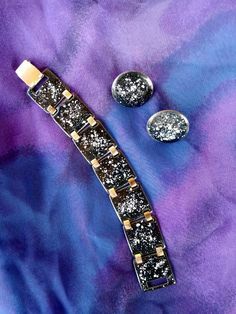 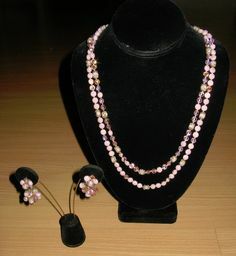 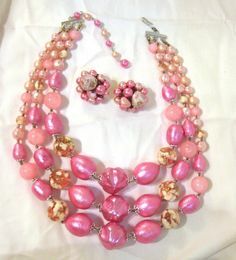 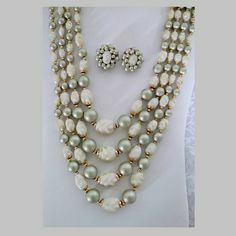 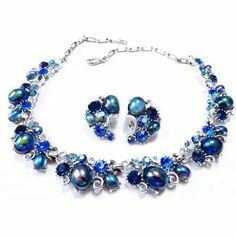 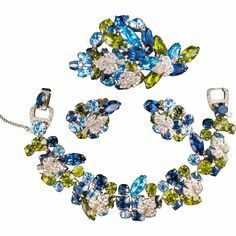 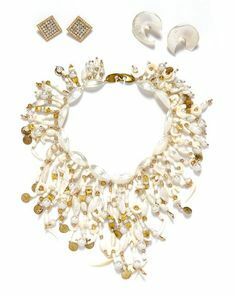 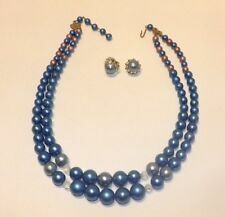 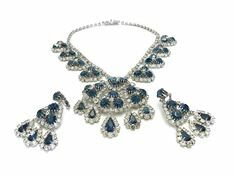 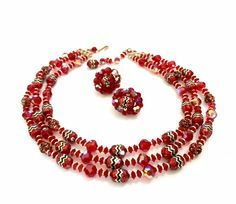 Wonderful Baked Beads Demi Parure set with necklace, earrings and bracelet. 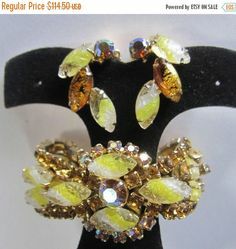 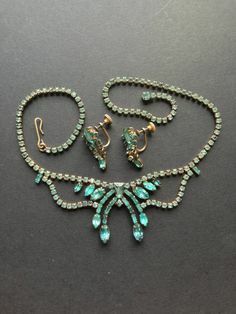 Bright green, almost peridot-colored rhinestones and copper metal. 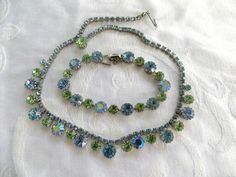 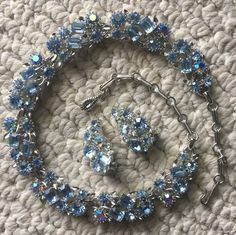 RARE 1950s BABY BLUE MOONGLOW RHINESTONE NECKLACE BRACELET DEMI PARURE STUNNING! 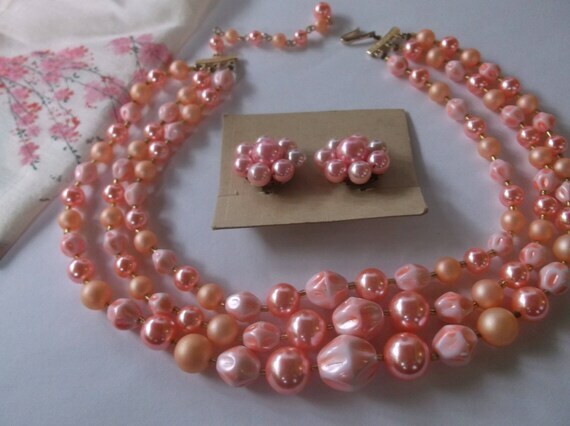 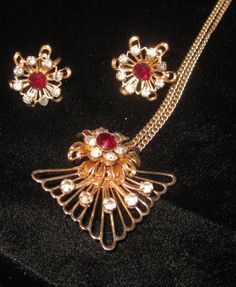 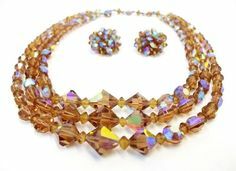 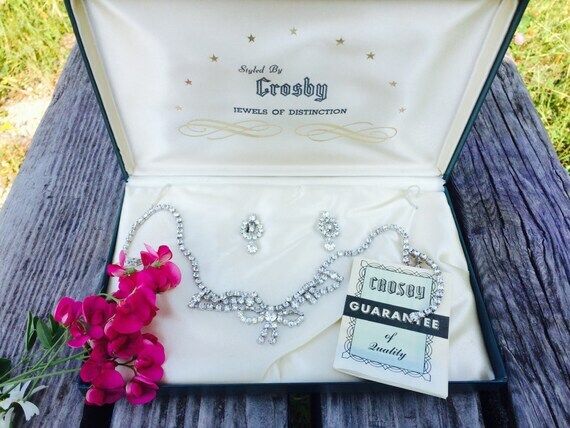 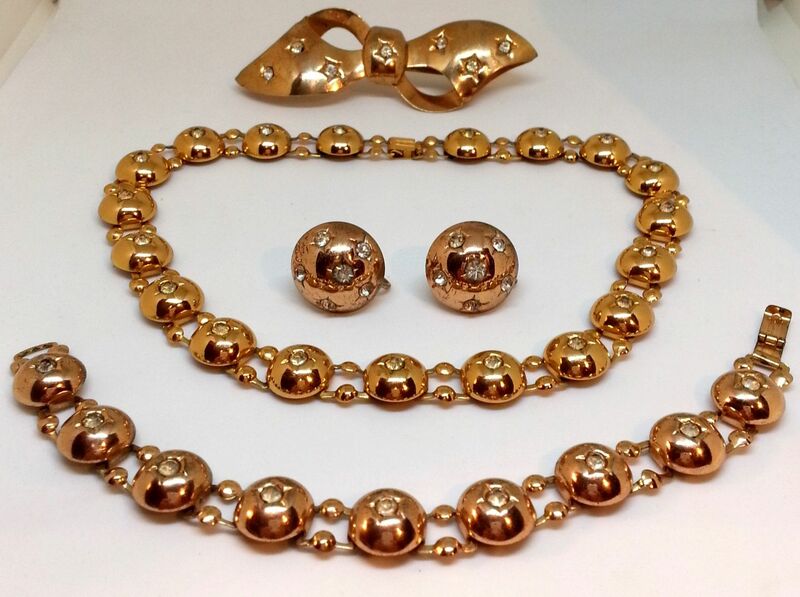 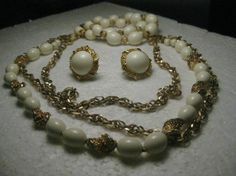 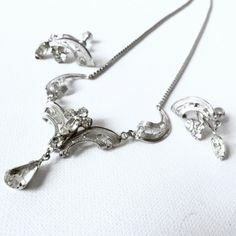 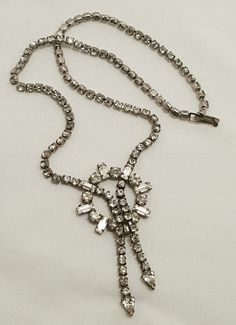 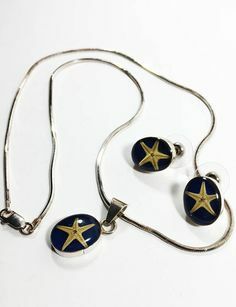 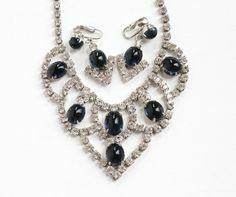 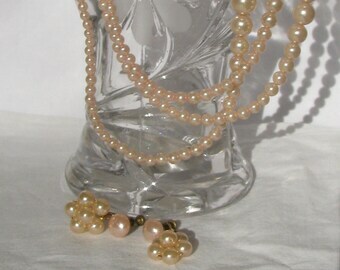 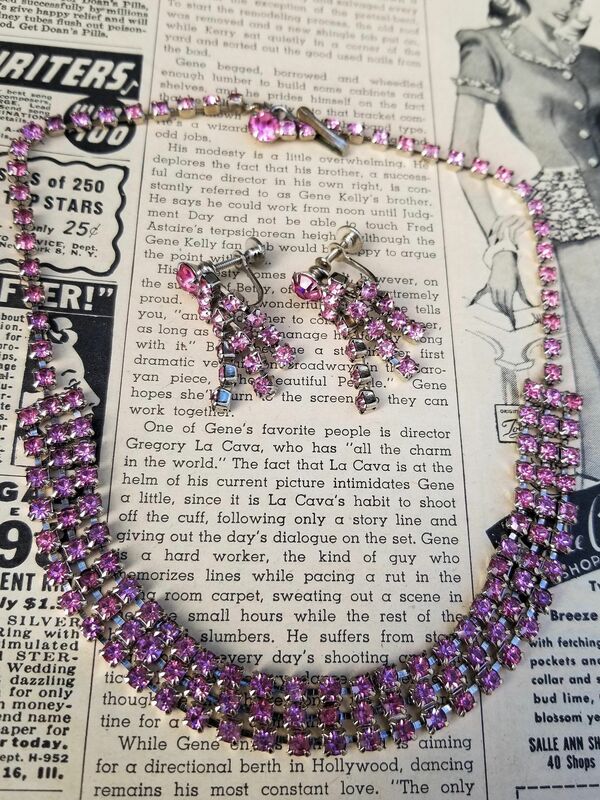 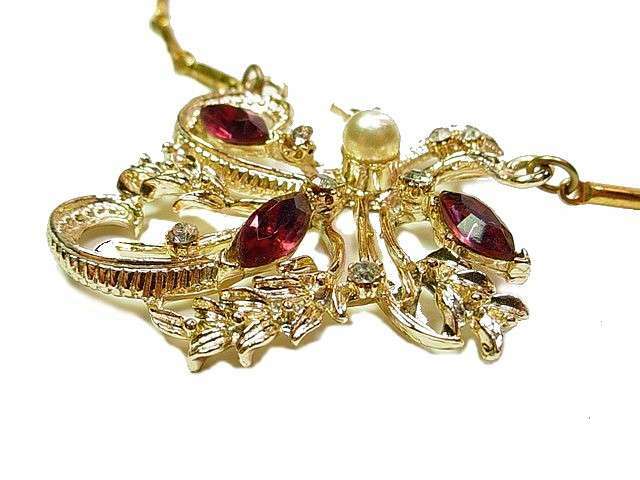 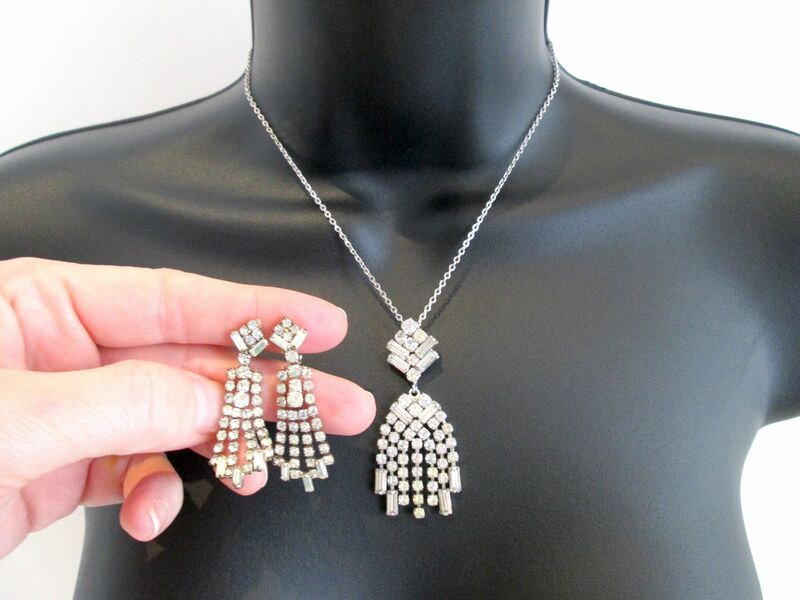 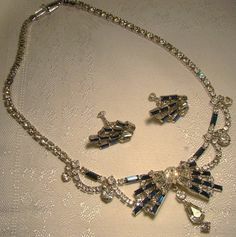 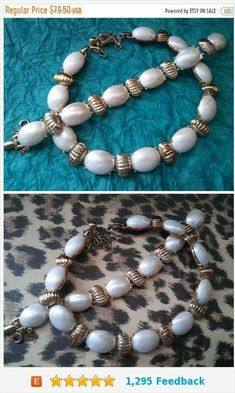 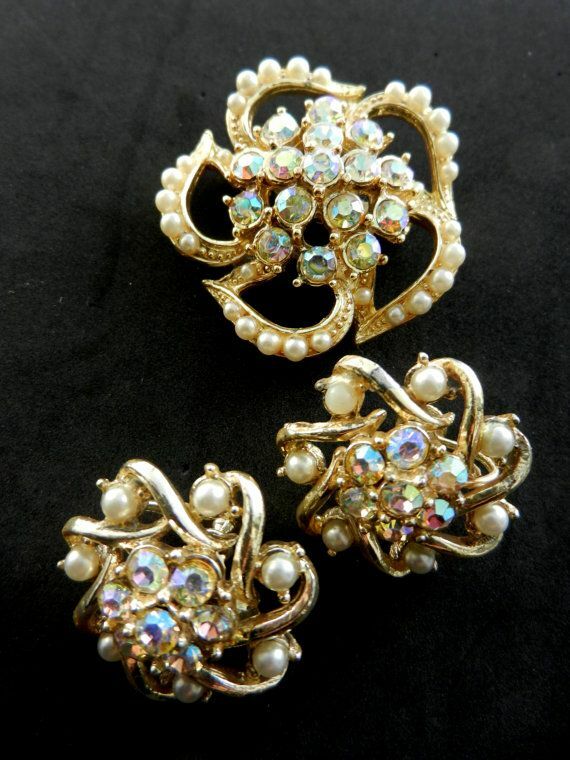 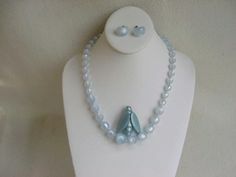 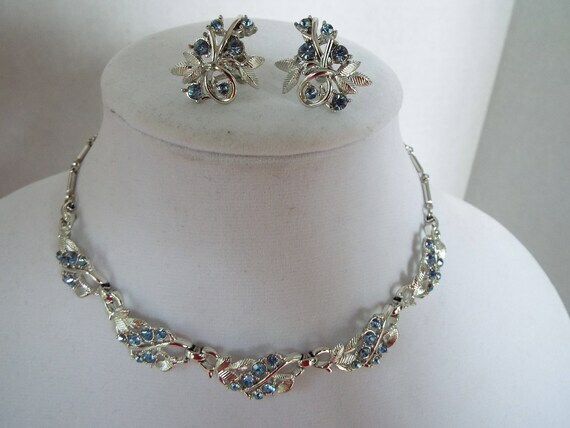 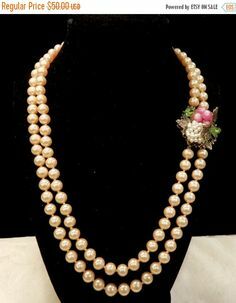 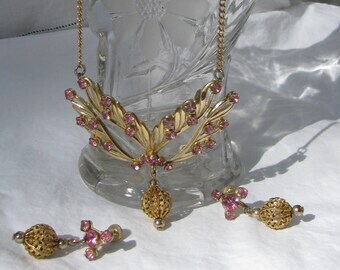 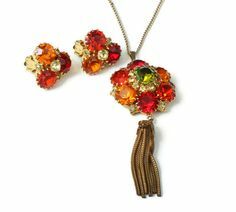 Vintage 1950s Coro Costume Jewellery Necklace and Earrings, 3 Piece Set. 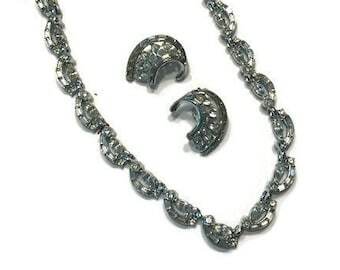 Very Pale Grey Plastic Set in Silver. 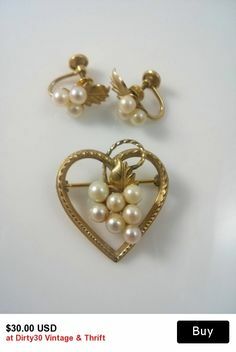 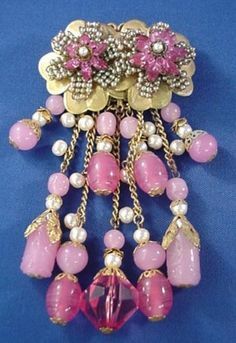 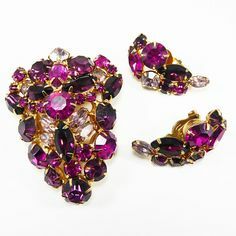 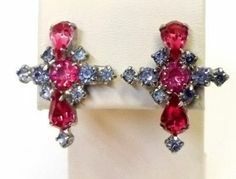 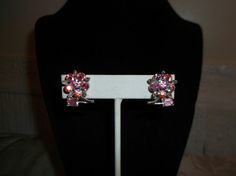 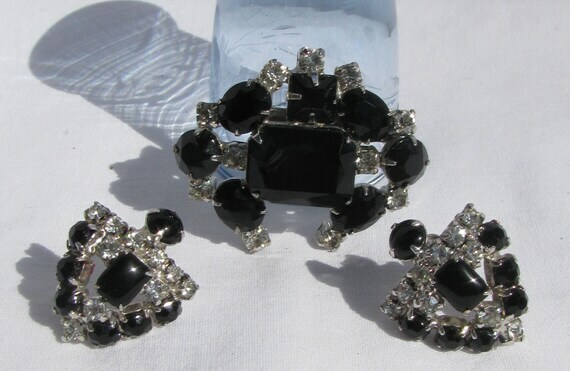 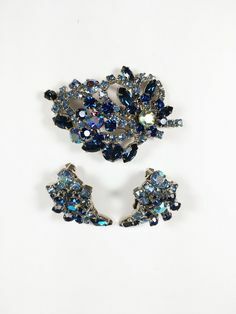 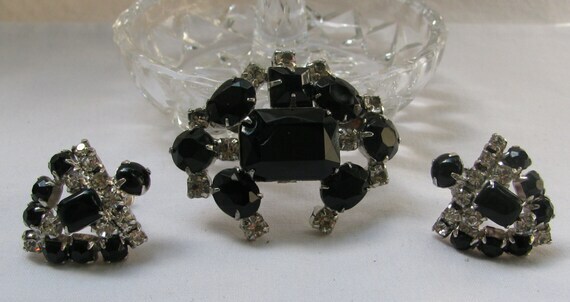 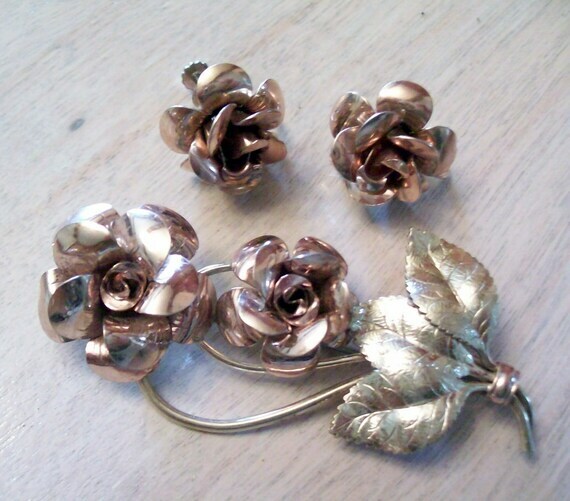 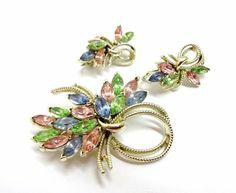 Clip On Earrings. 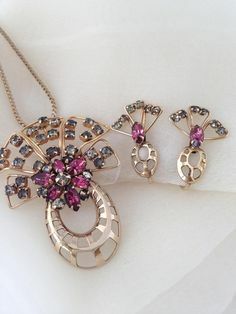 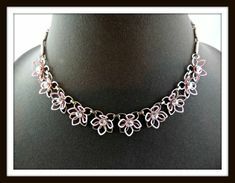 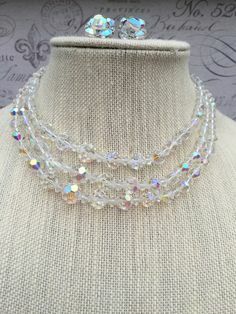 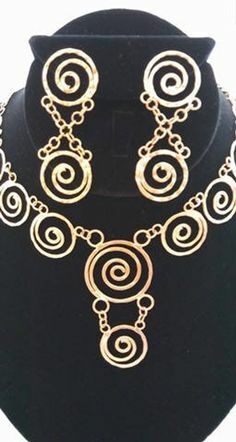 Scrolled ribbons and leaves Necklace and Screw back Earrings. 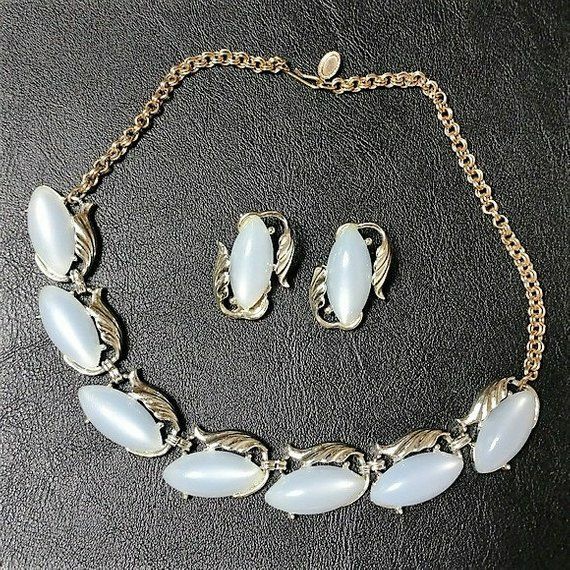 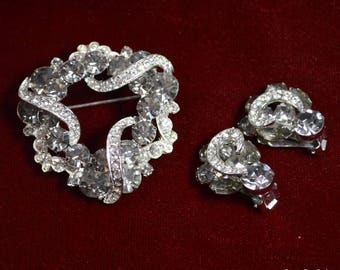 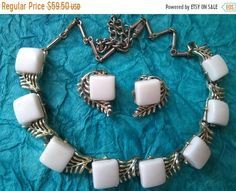 Vintage 1950s Mid Century Jewelry Set, Beautiful Sparkling White Rhinestone Adjustable Necklace with Screw Back Earrings, Stunning! 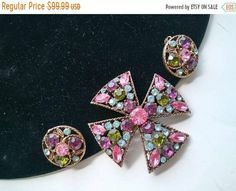 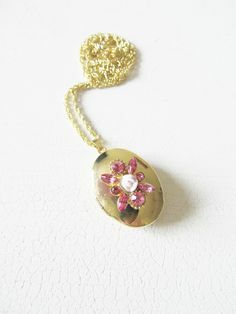 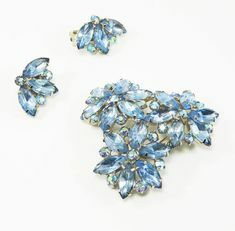 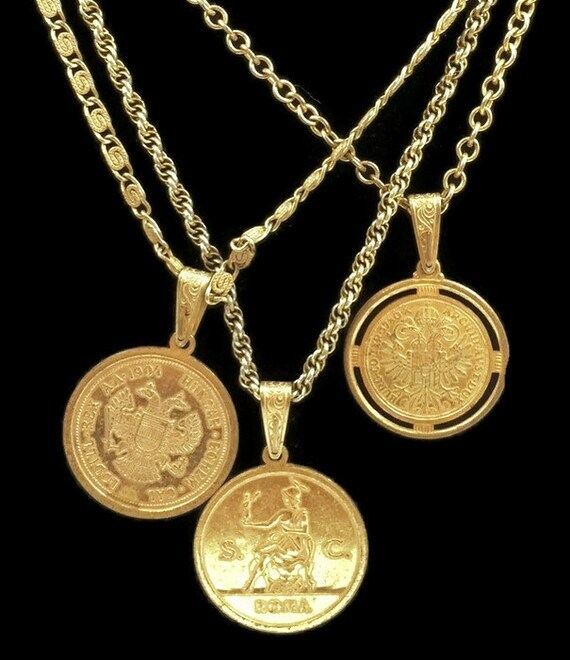 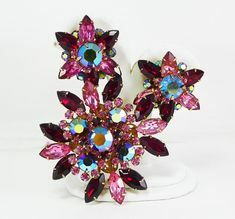 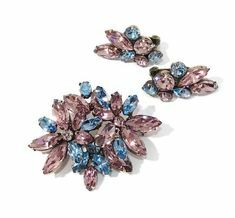 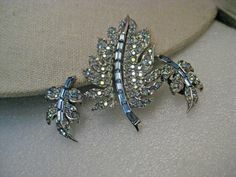 Find this Pin and more on Vrev Team Jewelry #vrev.